Here’s another proof that the Philippines is becoming a more ideal country for starting and maintaining a business. Another proof of the country’s strengthening economy made it to the headlines recently. 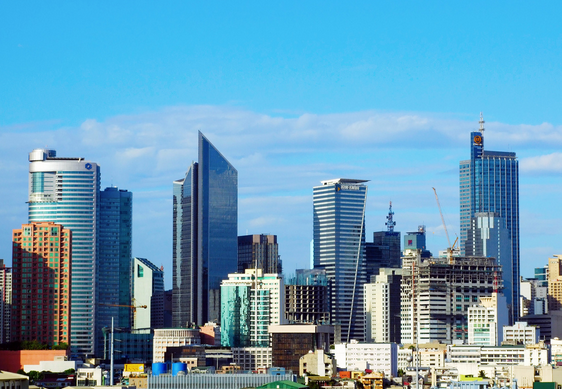 In Forbes’ Best Countries for Business 2014, the Philippines’ ranking improved. From being at No. 90 in 2013, it moved 8 notches higher to No. 82. The list includes a total of 146 nations globally. (In 2012, it was at No. 87). This improvement came as no surprise. The magazine took note of the country’s resilience in weathering previous global economic and financial downturns. This in turn was attributed to its controlled exposure to risky international securities, its lower dependence on exports, and its manageable domestic consumption. Of course, the contribution to the national economy of the combined remittances from about 5 million overseas Filipino workers (OFWs) was also cited, along with the robust business process outsourcing (BPO) industry, which has been employing hundreds of thousands of young professionals nationwide. Since 2003, the country’s current account balance has been recording surpluses. Its international reserves have also been maintained at record-high levels and its national banking system has always been among the most stable in the region. Moreover, Forbes also highlighted the continuously impressive performance of the Philippine Stock Exchange (PSE), which was even the second best performing bourse operators in Asia in 2012. The improved standing on the annual list even reflected the positive effects of the Philippine government’s improvements on its tax collection system as well as on its expenditure management that helped reduce high debt levels and ease a previously tight financial situation. These were also the main factors that have prompted various credit ratings agencies around the world to upgrade their ratings for the Philippines. In the same list, the Philippines fared better than its neighboring countries (and fellow ASEAN members): Vietnam (No. 111), Cambodia (No. 121), Laos (No. 130), and Myanmar (No. 143). But it trailed behind Singapore (No. 8), Malaysia (No. 37), Thailand (No. 62), and Indonesia (No. 77). Forbes’ 10 best economies for business last year were (in order): Denmark, Hong Kong, New Zealand, Ireland, Sweden, Canada, Norway, Singapore, Switzerland, and Finland. On the opposite side of the spectrum, the worst performing economies included Algeria, Gambia, Yemen, Venezuela, Angola, Haiti, Myanmar, Libya, Chad, and Guinea.